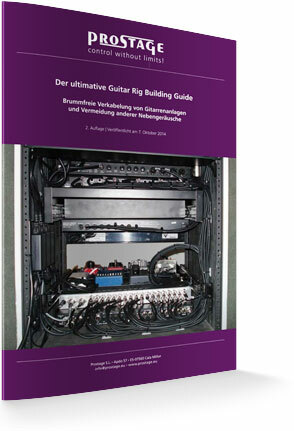 Author of the Guitar Rig Building Guide. Founder and chief engineer at Prostage. Many thanx for signing in to my free email coaching. 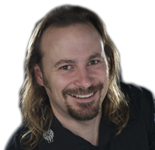 During the next week I will send you a valuable tip every day supporting you building your dream guitar rig. Please add my email address "lukas@prostage.eu" to your address book. By doing so you will ensure that my tips don't end up in the spam folder accidentally. If you have any questions about building your guitar rig, drop me an email. You want to know it in-depth right now? Here you will learn how to get the sound you dreamed off! * The voucher will be emailed to you as soon you have completed your order. The voucher does NEVER expire. Minimum order amount to use this voucher is 80 €. This special offer is only valid for 3 days. When I first heard about the Guitar Rig Building Guide, I became immediately interested and plunged deep into it. Lukas covers absolutely all subjects I can think of when it comes to cleaning up a rig building situation so that you can make the most of it tone-wise. If you're serious about rig building -or if you're even considering the possibility of making a career with that-, this guide should be one of your most fundamental pieces of reading material. As a professional rig builder, I'm always looking for new ways and products that can help me offer my clients the cleanest and most rewarding rigs possible. Thus, I can conclusively say that the Guitar Rig Building Guide has both opened new gear horizons for me and helped me understand the theory underneath some of the most common and frequent noise issues. Thanks, Lukas, for having done such a great job! Being a guitar player and not an electrical engineer, discovering The Ultimate Guitar Rig Building Guide by Lukas @ Prostage is by far the most comprehensive and accessible primer on building/using and diagnosing electrical rig maladies that even a layman can understand. The section 3 of the guide that illustrates the types of ground loops with specificity is absolutely top notch and extremely well written. This is illustrated very clearly and is an absolute boon to anyone suffering from ground loops. Though I do have a pedalboard, I am more of a rack user. Section 3.7 does an excellent job in showing how to avoid the pitfalls of pedalboard ground loops. This section also discusses the many ways rack mounted gear hum can occur and points to a checklist of sorts to help clear the occurrence of hum should it arise. The practical portion of the guide offers a logical and easy to understand suggested ordering of effects/gear in building a guitar rack. Though this type of gear has been available to guitarists for going on three decades now, I’ve never seen a guide which so clearly illustrates how to organize the gear and avoid the pitfalls of gear misplacement. All in all I think this guide is an absolute must for even the rig layman. I must say, the Guitar Rig Building Guide really did help me. First of all, I finally understand all the symmetric, asymmetric and groundloop stuff. And I can work specifically against it, if such a problem occurs. Also, I can simply ask you if I have any specific question, which is extremely rare these days. And you always have a professional answer on hand. I do like this very very much.